From Rev Jim Gabel of Mobile, Alabama on 2/6/2019 . Excellent Book ; Highly Recommended! From Janet Kane of Citrus Heights, California on 9/25/2018 . 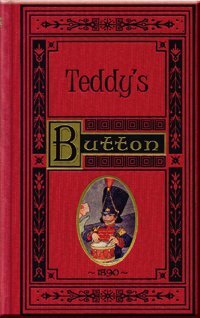 Our family owns and enjoy a number of Lamplighter books and dramatic CDs, but on the top of the favorite list is Teddy's Button. It clearly gives the message of our struggle with sin , specifically, our struggle with our sinful self, our need for Christ, our Savior, and the transforming power of God after salvation. The whole family will thoroughly enjoy this book. A friend loaned us this book & we FELL.IN.LOVE. The story is so fun and captivating. It is full of character building & great biblical insight. My 4,6, & 8 yr olds enjoyed it thoroughly (4 yr old son was more captivated by the audio book). We loved reading it together as a family. My son said he wanted to be a soldier for God's army!!! I can't say enough good about this book as it helps simplify how to give yourself to Jesus, share Him with others & how to fight your worst enemy (yourself!). I laughed, cried (the children often asked me are you okay mom?) every time. We even learned new words, as it's a hard read but oh sooooo worth it. I'll be so pleased to know it will be passed down generations to come. From Anonymous of Beckley, West Virginia on 11/6/2017 . It was a good book when I read it a while ago on my kindle. I got it in hard copy for my 8 year old brother who is getting the hang of reading and comprehension. We just started the book. So far he likes it. The story is a great one. Very good lessons and intense climax. It is a great book for older and younger siblings to read together. From Rachel Mathis of Fred, Texas on 10/1/2017 . Teddy's Button is the story of a young boy who meets Jesus early in life. It gives children and adults insight into the struggle of young children against their sinful natures as they give their hearts to God and begin to follow Him. My children and I really enjoyed reading this book aloud. I believe my children came away with a larger understanding of their place in God's army.